One of several community service efforts that Satomi, myself, and dozens of our close friends took an active role in was “Hanashi: The Voice of the Nisei Soldier”. 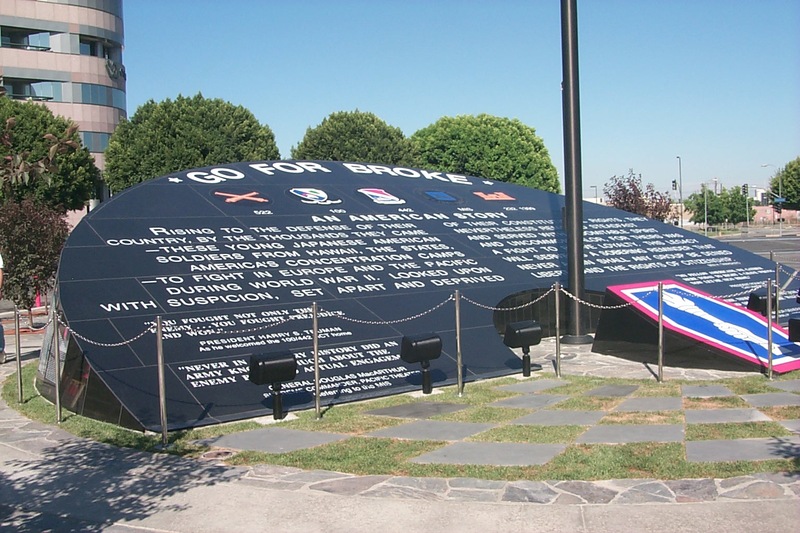 It was an organized effort to chronicle the oral histories of Japanese American Soldiers that fought for the United States in the 442nd Regimental Combat Team, 100th Infantry Battalion, or Military Information Service during World War II. You all may recall that many of the members of these units had families indentured in internment camps throughout the war. We served as members of traveling video documentary crews. They were composed of an interviewer, camera operator, sound and lighting person, and producer. We interviewed the veterans and documented their war experience along with their family experience living in the internment camps. 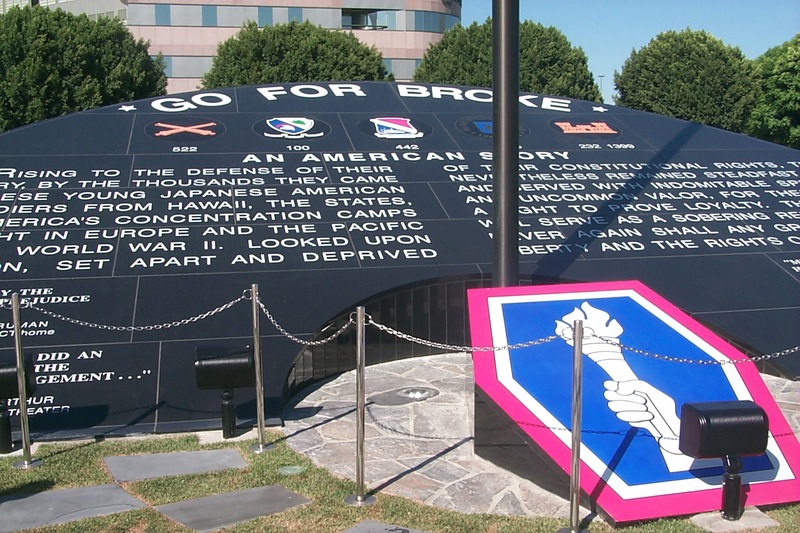 In many instances, these veterans had NEVER spoken about it before to anyone. As you can imagine, the experience was moving on many levels. 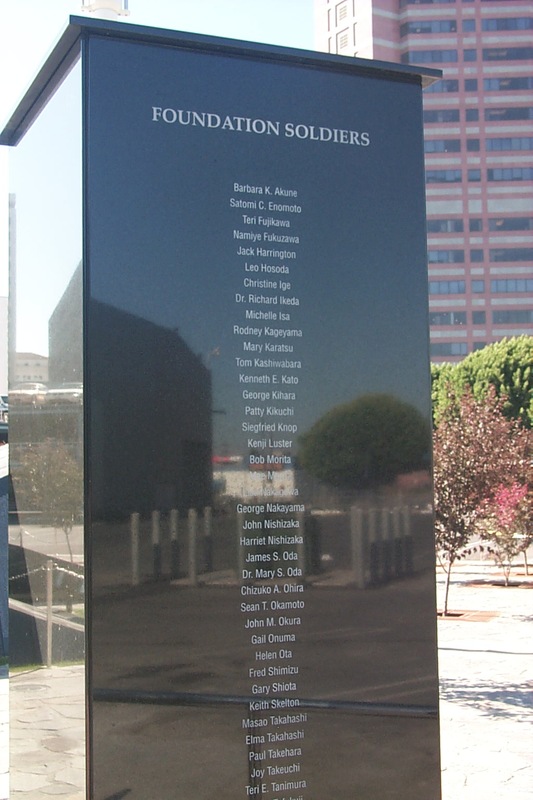 The veterans sacrifice and accomplishments were memorialized on the Go For Broke Monument in Little Tokyo in downtown Los Angeles in 1999. 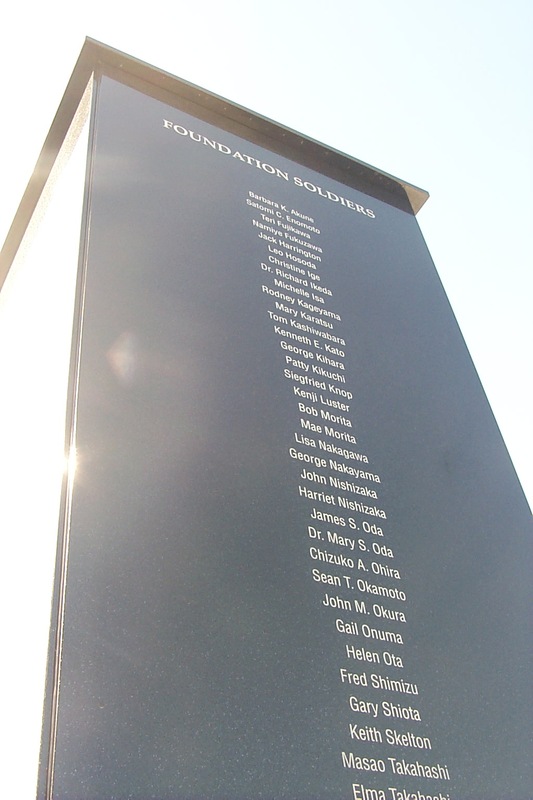 Take a close look and see if you see any names you may recognize. And if you forgot, Satomi’s maiden name is “Enomoto”. We are both blessed to have been a part of this and are proud of our service. how cool is that! great way to perserve history, heritage and service for the next generations.